For your classes in American Government, McGraw-Hill introduces the latest in its acclaimed M Series. The M Series started with your students. McGraw-Hill conducted extensive market research with over 4,000 students to gain insight into their studying and buying behavior. Students told us they wanted more portable texts with innovative visual appeal and content that is designed according to the way they learn. We also surveyed instructors, and they told us they wanted a way to engage their students without compromising on high quality content. 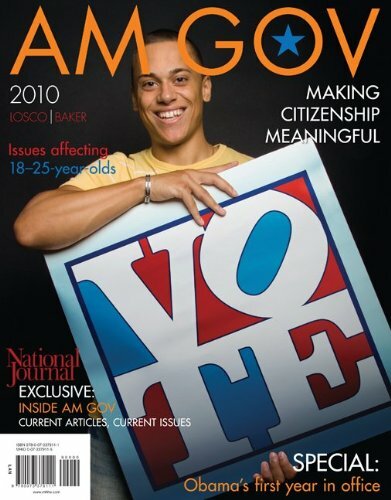 AM GOV, published annually at the beginning of each year, is the first student-centered American government text.It provides instructors who normally choose either a big, brief, or essentials text with scholarly, succinct, and conventionally organized core content; unmatched currency; and a magazine format that engages students and motivates active participation in our democracy.All this, and at a price that students prefer. This book was the exact thing that I ordered, shape was better than expected.Fast Shipping !Thanks so much !! I needed the book asap and it arrived w/i a few days.Price was excellent also.Would highly recommend! This book is a very easy read. I used it for a community college class, and it couldn't have been easier to follow along. There are many pictures, diagrams, and tables illustrating the core concepts per chapter. 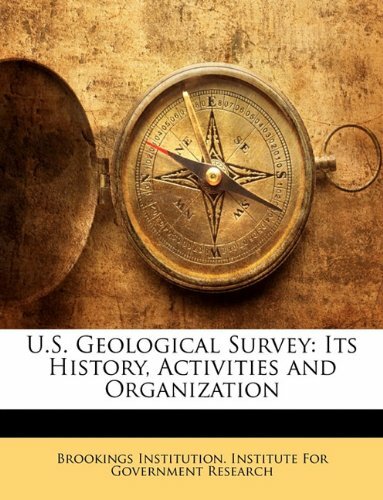 Although this book is useful for class, I would not rely on it as a resource for research or something of the like. It was reminiscent of a middle school government book. I loved how this textbook was laid out. The information and side stories are laid out in a new and unique way. Any teacher will find this a great tool to work your class with. Political science boring you out? Well, most of the books about political science looks boring so your first impression of it is probably not that great to begin with. However, this book has worked around it a bit and I thought it was interesting. It is format in a way so that it looks more like a fun, exciting, interesting magazine type book than a boring, dull, typical text book. This is the first text that has gotten me interested a bit and the first that I've read in a long while. The information is cool, isn't always organized in a way that you might want, but most textbooks aren't hence taking notes. 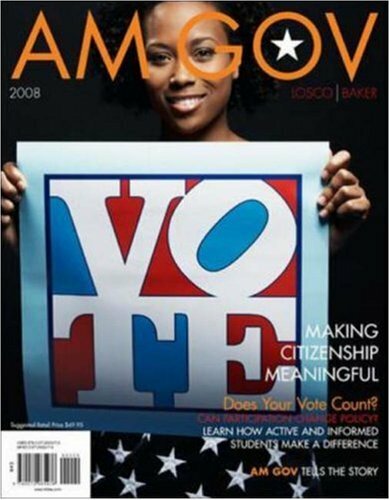 Published annually at the start of each year this text provides unmatched currency and is the first student-centered American government text. 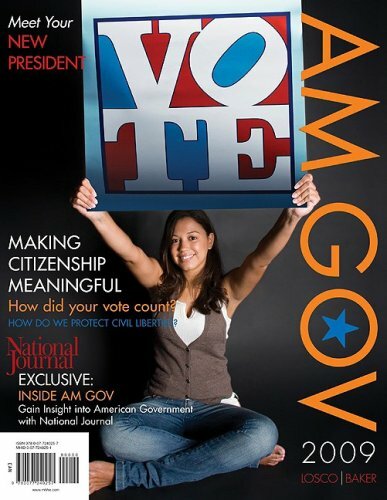 It provides instructors who normally choose either a big, brief, or essentials text with scholarly, succinct, and conventionally organized core content; and a magazine format that engages students and motivates active participation in our democracy. All this, and at a price that students prefer. What's more, AM GOV is the product of serious scholarship: painstaking student and instructor reviews, surveys, and focus groups, as well as and ethnographic research into student study behaviors, preferences, and needs. AM GOV brings serious fun to American Government through its quality, currency, features, and format. The Texas edition includes 10 additional chapters on the government and politics of the Lone Star State including the Texas Constitution, political parties, the legislature, the governor and executive branch, the judicial system, local government, and financing state government. 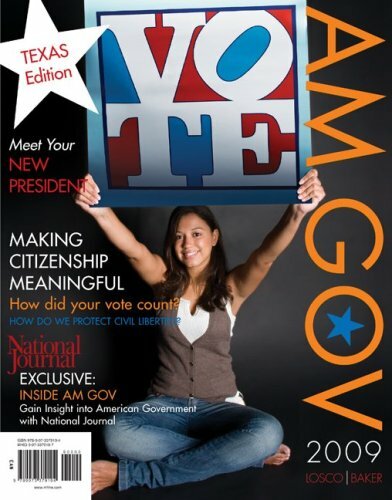 For your classes in American Government, McGraw-Hill introduces the latest in its acclaimed M Series. The M Series started with your students. McGraw-Hill conducted in-depth, ethnographic research with students from a variety of backgrounds and institutions to gain insight into their studying and buying behavior. Students told us they wanted more portable texts with innovative visual appeal and content that is designed according to the way they learn. We also surveyed instructors, and they told us they wanted a way to engage their students without compromising on high-quality content. 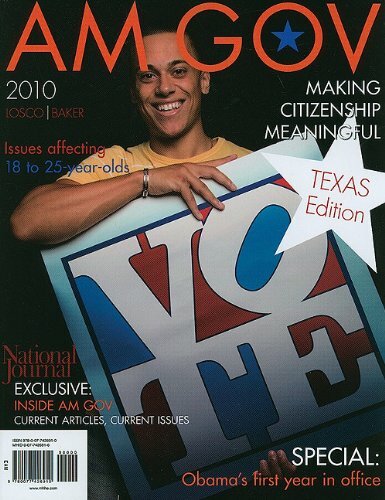 AM GOV, published annually, is the first student-centered American government text. Designed to be used by instructors who traditionally use either a big, brief, or essentials text, it offers scholarly, succinct, and conventionally organized core content; unmatched currency; and a magazine format that engages students. All this at a price that students love. 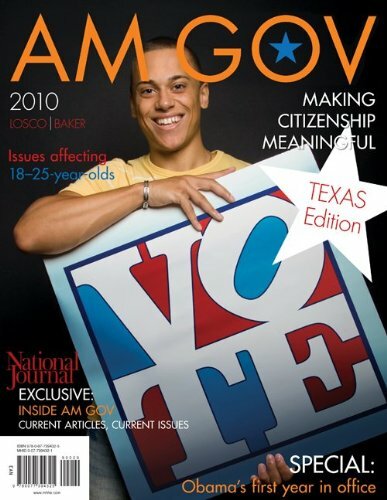 AM GOV, published annually, is the first student-centered American government text. Designed to be used by instructors who traditionally use either a big, brief, or essentials text, it offers scholarly, succinct, and conventionally organized core content; unmatched currency; and a magazine format that engages students. All this, and at a price that students love. Very readable, keeps my attention.Easy to follow and up to date.Don't much care for the magazine style cover and pages - afraid to touch the thing, magazines are only meant to last until next month's issue, I'd hope a text book would last a lifetime.After seeing the wear and tear on mine after just a month's use I am glad I bought a new book.Other than physical characteristics of the book, I have no complaints. We purchased a textbook and it arrived promptly and was in the good condition stated. You've seen the movie, now you can read the book. Idiocracy is the result of the dumbing down of America. Using this textbook will excelerate the process. Every topic is covered in the most superficial manner possible. The text is entirely descriptive. There is little space in this text for the words "therefore" and "because." Giving both sides of an argument is a good thing, this text contains no arguments at all. The text trades explanation and argument for human interest fluff. 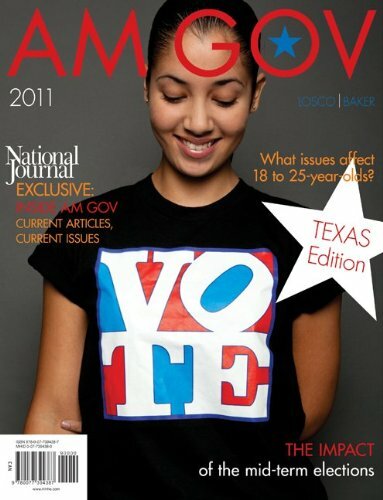 "Molly couldn't wait until she turned eighteen to get involved in politics... Molly used Facebook to create a network...." The reader of this text will learn more about Molly, and Allison and Casey and Aman and Kue than the reader will learn about the vital issues and concepts of U.S. Government. For example, the Fifth Amendment is covered in one paragraph, the Fourteenth Amendment gets two or three sentences, the theory of party realignment is covered in two paragraphs. The single paragraph on the "major issue" of health care reform uses as much space as the equally expendable photo of a child getting a check-up. (The worthless photos on nearly every page are the predominant feature of the text's "visually rich design." What could possibly be learned from the full-page (221) photo of a student using a laptop?) A total of three sentences are devoted to the unitary executive theory (and signing statements). This is a bit unfair since the opposing critique of the imperial presidency is covered in only two sentences. Perhaps the next edition will add one more sentence about the imperial presidency. Hopefully, I will never see the next edition. Having taught the introduction to American Government course for twenty years, I will honestly say that I've never seen a textbook so devoid of thought.The scary part is that it is clearly the intention of this book to be thoughtless. Our students are not this dumb... yet. Good text for the instructor - but for students???? McGraw-Hill conducted extensive market research with students from across the nation to gain insight into their studying and buying behavior. Students told us they wanted more portable texts with innovative visual appeal and content that is designed according to the way they learn. We also surveyed instructors, and they told us they wanted a way to engage their students without compromising on high quality content. This item never received, and the seller never responded to the five e-mails I sent. This book should be used for high school level students instead of college. College students should avoid purchasing this book altogether and following the teacher's notes in class. I probably opened it twice all semester. Also, if you HAVE to purchase the book then go for a used 2009 edition and save some money. The books are almost the same especially since they publish a new one every year. The complaints in this book are old, for which no proof has ever been offered. The usual evidence in support of the charge that the criminal laws discriminate against blacks is the far stiffer sentences for selling and possessing crack cocaine compared with powdered cocaine. But that colorblind sentencing regimen, which dates from 1986, was a heartfelt effort to protect the overwhelmingly black victims of crack, not to penalize them. Black liberals such as Congressman Charles Rangel were loudest in sounding the alarm about the effects of crack in the black ghetto. Not even the most deluded racial apologists have ever explicitly suggested that racial bias motivated Congress's efforts to combat a drug that results in much higher rates of violence among dealers and users, quicker and more onerous addiction, and more emergency room visits than its powdered cousin. The reason that the black incarceration rate is the highest in the country is that blacks have the highest crime rate--by a long shot. Don't trust the police, prosecutors, or judges to give a fair picture of black crime? Then go where the bodies are. Los Angeles is representative. In the first seven months of 2007, blacks in Los Angeles were murdered at a rate ten times that of whites and Asians. Who's killing them? It's not whites and Asians. While a minor proportion of the assailants of blacks are Hispanic, the vast majority are black themselves. Nationally, blacks commit murder at about eight times the frequency of whites. In New York, any given violent crime is 13 times more likely to have been committed by a black person than by a white person, according to the reports of victims and witnesses. Though they are only 24 percent of the city's population, blacks committed 68.5 percent of all murders, rapes, robberies, and assaults in New York last year. Whites, who make up 34.5 percent of New Yorkers, committed only 5.3 percent of violent crimes. These ratios are similar across the country. In Los Angeles, blacks committed 41 percent of all robberies in 2001, according to victims' descriptions, though they constitute only 11 percent of the city's population. Robbery victims identified whites, who make up 30 percent of the Los Angeles population, just 4 percent of the time. When attacking the justice system, racial agitators work mightily to change the subject from violence to drugs, using their flimsy argument that crack cocaine penalties are too high. But the vast preponderance of prisoners are in the pen for violence and property crime. In 2003, 52 percent of inmates in state prisons were serving time for violent offenses, 21 percent for property offenses, and only 20 percent for drug offenses. To be sure, black incarceration rates are off the charts. Black men were 41 percent of the more than 2 million men in federal, state, and local prisons at midyear 2006. At the end of 2005, there were 3,145 prison inmates per 100,000 black males in the United States, compared with 1,244 inmates per 100,000 Hispanic males and 471 inmates per 100,000 white males. Is that because violent and property crime is overpenalized, as race advocates sometimes argue? No. Despite the advocates' constant complaints about three-strikes laws, the criminal justice system actually underpenalizes crime because of inadequate prison space. Prosecutors cut deals to lessen sentences; sheriffs overseeing local jails regularly devise new schemes for dumping offenders back on the street to make room for the next batch. And in any case, even if penalties for particular offenses were too draconian, the punishments affect all offenders the same. No one in the left wing community dares whisper a word about black crime, because it undercuts the portrait of a victimized race. You can listen to every protest across the country glorifying the "Jena Six" and you will never hear an acknowledgement of the massive social breakdown that is the black crime rate: no mention of the violence in inner-city schools that black students commit overwhelmingly; no mention of the rising homicides in midsize cities that young black males commit when they feel "disrespected." It is not racism that is putting black men in jail; it's their own behavior. The authors claim that modern day America is still very racist, but all the evidence points to the contrary. There is not a single elite institution in the country that is not twisting itself into knots in favor of African-Americans. Every minimally selective college is desperately seeking to enroll more black students. Boosting black enrollment requires drastically lowering a college's admissions criteria to overcome the intractable 200-point SAT gap between black and white high school students, but every college institutes such double standards for the sake of "diversity." Any black student who graduates from high school with decent grades and respectable SATs will leapfrog over thousands of more qualified white and Asian students right into the Ivy League. Blacks are also the hottest commodity for exclusive private schools that serve as training grounds for the Ivies. Andover, Exeter, Choate, and every other fancy prep and day school practice the same double standards in their eagerness to admit African-American students. After college, law schools, business schools, medical schools, engineering schools, and others accept black students whose test scores would disqualify them if they were white or Asian. The preferences continue into the professions. Wall Street law firms annually flagellate themselves over their lack of proportional representation of black associates and partners, even though the number of blacks who graduate from law school with grades and bar-exam scores comparable with the firms' white hires is negligible. The lack of comparably qualified black candidates does not stop the law partnerships from hiring black associates, though. Corporations have saddled themselves with massive "diversity" bureaucracies whose only function is to justify hiring and promoting less qualified African-Americans and Hispanics. Newspapers, TV stations, and advertisers put enormous pressure on themselves to have blacks on their staffs and to show black faces to the world. In short, the opportunities for blacks to roar ahead in the economy if they stay out of trouble, study, and apply themselves are legion, but the numbers taking advantage of these opportunities are not. California's state superintendent of public instruction broke a longstanding taboo this August by pointing out that middle-class black students in the state score worse on math and English than poor white and Asian students--a disparity that applies across the country. The usual poverty excuse for black underachievement does not hold up. They're in denial of these truths. In fact, what they're trying to do, is to make sure that attention stays far away from the actual problems holding blacks back. Astronomical rates of black criminality are not the only topic that the Jena rallies have obscured. No one wallowing in Jena promotion has had the courage to speak about an even more important crisis, the breakdown of marriage. The nearly 70 percent national illegitimacy rate for blacks--a number that can approach 90 percent in inner cities--is a cataclysm. Its consequences go far beyond the harm to individual black children--especially boys--who grow up without fathers. The real poison of the marriage crisis is the message it sends to young men about personal responsibility. The first duty in civil society is toward one's own children; everything else is built around it. But when boys are raised without any expectations that they will have to support their children and marry the mother of those children, they fail to learn the most basic lesson about responsibility. They also are freed from the civilizing force of the marriage requirement, which pressures young men to become attractive mates. With enough support, individuals can overcome the moral perils of the illegitimacy culture, but given the prevalence of black crime and disaffiliation from the working world, it's clear that not enough young men are finding ways to do so. These authors are members of the race industry. And their goal is to reinforce the notion that this episode exemplifies blacks' situation in America. But if there were many other instances of (arguable) overcharging for black crime, we would have heard about them by now. 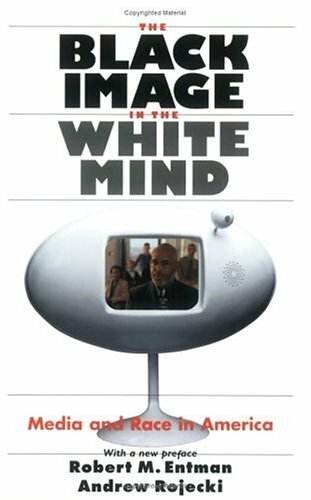 This is an important and well-researched study of the image of African Americans as presented in the media (mostly TV and Movies). Indeed, it is a "must read" for anyone interested in white attitudes regarding African Americans.The authors begin with a nice review the dominant survey research approach to gauging change in racial attitudes.They also discuss their own survey and qualitative study of Whites living in the Indianapolis metro area.The findings of the in-depth qualitative interviews are particularly interesting and valuable for folks interested in the validity of survey research on racial attitudes. Rightly reserving the use of the counterproductive term "racist" for those who feel Blacks are a "lower order of humanity," the authors develop a framework for categorizing White American views of the African American population from "low denial" (enlightened) to "high denial" (overtly racist) (chapter 2). Unapologetically integrationist (assimilationist?) in their views, the authors see "low denial" whites as those folks who view African Americans sympathetically and empathetically, (as brothers/sisters), who share fundamental interests, but who suffer unique barriers to equal opportunity. What seems to differentiate the "low-denial" whites from their well-meaning but "ambivalent" peers is that low-denial whites uncritically accept the victimization explanation for the social problems of the Black community. According to the authors, enlightened Whites see the Black community as largely helpless in the face of White dominated society.Hence, for example, high rates of crime and non-marital births stem from forces external to the Black community.These "enlightened" Whites appear to believe that if anti-Black stereotypes and discrimination were to end, the social problems experienced by African Americans would be resolved. On the other hand, the mass of "ambivalent" whites is less likely to let struggling Black folks off the hook.They tend to see each person as a moral agent with the freedom to make choices even in the face of discrimination and inequality.They also feel that the stereotypes of Black folks have a grain of truth to them--e.g., that blacks do tend to be, say, less educated, more violent, more likely to bear children out of wedlock than Whites or Asians, as evidenced by empirical evidence reported in the media. These folks wonder (rightly in my opinion) whether current discrimination is really so powerful and dehumanizing as to engender the social problems of the black community. If the majority of African Americans also recognize that endemic social problems exist within poor black communities, does that mean that they too are "in denial?" Later in the book the authors go on to encourage the media to construct positive images that encourage "racial comity. "They frame this as an ethical and political responsibility.But because the authors emphasize IMAGE over REALITY, the book often takes on an Orwellian tone.In my opinion, if the media seeks honest portrayals of African Americans, it will often reflect the reality of difference. The authors seem to assume assimilation as a valued goal by finding flaw with any racial differentiation in fictional portrayals in movies and television.While multiculturalism celebrates group differences, the authors find problematic any racial differentiation whatsoever.This is a flawed perspective.African Americans are have a distinct history and culture and are not simply white folks in dark face.I suspect the authors would erase expression of these existential differences from the media if given the chance. So while the book is a valuable contribution (as discussed by the previous reviewer), it suffers from a naively self-righteous and assimilationist perspective. This is a very important book of research. Though written in sociologist language (lots of statistics and repetitition claims), this is one work that provides meticulous reserach about how the media help perpetuateracial stereotypes and prototypes in this society. As a teacher who isstudying widely literature about the media, I found Entman and Rojecki'swork useful for providing a lens to better analyze media representations ofBlack and White people. The authors contend that "Blacks now occupy akind of limbo status in White America's thinking, neither fully acceptednor wholly rejected by the dominant culture.The ambiguity of Blacks'situation gives particular relevance and perhaps potency to the images ofAfrican Americans in the media." They show that thoughrepresentations of Black people are quantitatively better than in the past,these representations still convey stereotypical or ambiguous images ofBlacks. For example, though there has been sharp increase of Black maleactors in movies, their roles still revolve around plots that focus onsports, crime, and violence. In the area of news media, Blacks are usuallypresented as sources of disruption, as victims, and as complainingsupplicants. These type of images, they contend, help to maintain a gap inwhat they refer to as comity on the part of Whites toward Blacks and otherracial minorities in this country. In a world where web services can make real-time data accessible to anyone, how can the government leverage this openness to improve its operations and increase citizen participation and awareness? Through a collection of essays and case studies, leading visionaries and practitioners both inside and outside of government share their ideas on how to achieve and direct this emerging world of online collaboration, transparency, and participation. Beth Simone Noveck, U.S. Deputy Chief Technology Officer for open government, "The Single Point of Failure"
Jerry Brito, senior research fellow at the Mercatus Center at George Mason University, "All Your Data Are Belong to Us: Liberating Government Data"
Aaron Swartz, cofounder of reddit.com, OpenLibrary.org, and BoldProgressives.org, "When Is Transparency Useful?" Ellen S. Miller, executive director of the Sunlight Foundation, "Disrupting Washington's Golden Rule"
Carl Malamud, founder of Public.Resource.Org, "By the People"
Douglas Schuler, president of the Public Sphere Project, "Online Deliberation and Civic Intelligence"
Howard Dierking, program manager on Microsoft's MSDN and TechNet Web platform team, "Engineering Good Government"
Matthew Burton, Web entrepreneur and former intelligence analyst at the Defense Intelligence Agency, "A Peace Corps for Programmers"
Gary D. Bass and Sean Moulton, OMB Watch, "Bringing the Web 2.0 Revolution to Government"
Tim O'Reilly, founder and CEO of O'Reilly Media, "Defining Government 2.0: Lessons Learned from the Success of Computer Platforms"
Daniel Lathrop is a former investigative projects reporter with the Seattle Post Intelligencer who's covered politics in Washington state, Iowa, Florida, and Washington D.C. He's a specialist in campaign finance and "computer-assisted reporting" -- the practice of using data analysis to report the news. Laurel Ruma is the Gov 2.0 Evangelist at O'Reilly Media. 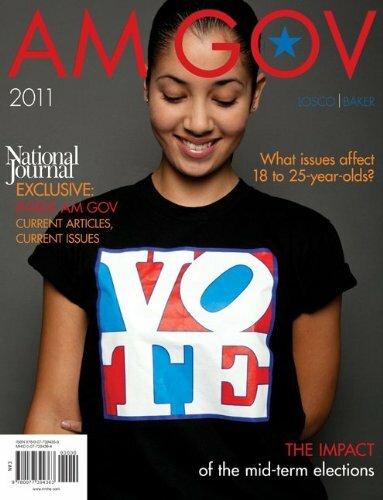 She is also co-chair for the Gov 2.0 Expo. This book covers a wide spectrum of "open government" topics.This should be a must-read for politicians and leaders, particularly those older than "Generation Y" (yes, I am older than Gen Y). There are a number of contributors who add their perspectives to the book.This collaborative approach makes for an interesting read, not unlike flipping through "Wired", but with a focus on governement transparency. If you work in governement, PLEASE read! I'm not an expert in politics or government. My field is corporate governance. However, I found this book, focused on civil governments, to include many lessons for corporate governments as well. For example, the chapter by Douglas Schuler discussed online deliberation, including the work of e-Liberate, which developed an online version of Roberts Rules of Order to facilitate online deliberations. The system in its current form can support meetings that take place in real-time over an hour or so and, also, meetings that are more asynchronous (and leisurely), meetings that could, in theory, span a year or so, making it necessary for meeting attendees to log in to e-Liberate once or twice a week to check for recent developments and perhaps vote or make a motion. Might not such a system be useful for facilitating online shareowner forums, shareowner collaboration in deciding on proxy access candidates, or even annual shareowner meetings? David Eaves builds off the work of Clay Shiky who looked at Ronald Coase's, The Nature of the Firm. Coarse theorized the people didn't self-organize in a manager-free environment because managing transaction costs - the costs of constantly negotiating, coordinating and enforcing agreements - would be prohibitive.In Here Comes Everybody: The Power of Organizing Without Organizations, Shiky asks, "But what if transaction costs don't fall moderately? What if they collapse?" The Internet seems to make that possible. Eaves cites the DIRECT Launcher project, where NASA and non-NASA employees created a virtual "skunk works" to design a rocket that outcompetes NASA. Eaves argues that with the acknowledged end of objectivity, sites like Wikipedia have increased credibility because their transparency documents partisanship. You can trace bias. Eaves goes on to discuss many self-organizing tools that I think might be readily adaptable to [...], CII and others. Other variations are discussed by Charles Armstrong. For example, One Click Organizations utilize the Themis Constitution developed by CIRCUS Foundation, designed to take advantage of electronic decision-making to simplify governance and administration. Sarah Schacht takes us back to the fundamentals of democracy, points made in the Constitution,like the fact that a Journal of the Proceedings of Congress shall be published with Yeas and Nays of Members voting for and against bills. Of course, we can't have Board minutes released right after meetings but wouldn't it be reasonable to release minutes or at least votes after some reasonable amount of time... perhaps a year later, unless otherwise deemed strategically critical to remain secret? How can we hold our board members accountable if we never know how they vote? If corporate directors really begin to represent shareowners, rather than CEOs and self-replacing boards, they might learn a thing or two from [...]. Then there's Sheila Krumholz's discussion about why the Center for Responsive Politics decided to publish their data on [...], which reminds me of decisions by funds to disclose their proxy votes at [...]. It turns out giving away what may cost tens or hundreds of thousands of dollars to compile can actually increase your clout and help better fulfill your mission than hording information like gold. Another site all in governance can benefit from is [...], which facilitates the ability to upload data, visualize it, and talk about it with other people. Explore your data through word tree maps, bubble charts, phrase net, tag clouds, etc. Visualization provides powerful insights. That's just a few observations on a few chapters. Open Government contains 34, so there is a great deal to explore. [...], which improves the accountability of elected leaders by allowing you to vote on funding for websites/blogs that cover how you are being represented, is one of many sites that are missing. However, Lathrop and Ruma have done an excellent job of compiling a list of useful sites and essays that will go far in creating more open governments... whatever their form. A terrific resource like no other in its field. It offers an amazing diversity of viewpoints covering virtual every aspect of the debate over transparency and open government. It deserves a place on your bookshelf if you care about transparency and Government 2.0 issues. 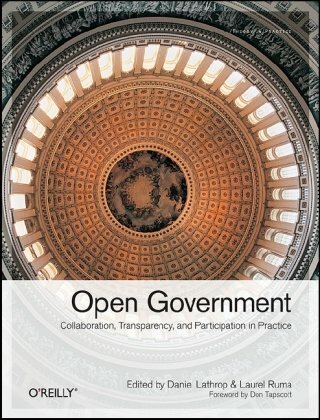 I've been noticing recent references to "open government" and "transparency" in political discussion circles and it appears to be a trend that has the potential to make dramatic changes to the national political landscape.This book is a collection of interesting essays that show how the vision of political transparency would be supported through technology. So, yes, it is possible and yes, there is a movement in this direction and yes, there is the possibility of having access to the truth rather than the political propaganda that organizations like Fox News likes to pump out. If you're really interested in supporting the movement towards governmental transparency, here is a book that explains how it would work. Now, go ye forth and "make it so." OPEN GOVERNMENT: COLLABORATION, TRANSPARENCY, AND PARTICIPATION IN PRACTICE is a top pick for any college-level library strong in politics and government. It comes from leading practitioners inside and outside the realm of government, and shares their ideas on how to use the Web to make data accessible to citizens and government internal operations alike. From understanding online collaboration and transparency to encouraging participation and cooperation, this packs in key details for organizing more effective government operations using the Web's powers as a pivot point.